What is a SAP Developer? SAP is the #1 creator of business software solutions. It's the fourth largest software company globally -- just a couple notches behind Microsoft. What this means is that there's a huge market for developers who are knowledgeable of SAP solutions -- outside of the parent company and outside of Germany. Among these solutions are SAP Business Warehouse, SAP Business Objects, and Sybase mobile. SAP has contributed one thing that most software companies haven’t – its own computer language. One possible role for a SAP developer is to write programs using Advanced Business Application Programming (ABAP). Some SAP projects are also developed in Java. SAP is the fourth largest software company globally. Many U.S. companies use SAP technologies. By perusing job posting, you may find some big names: CostCo, REI, Nike, even Raytheon. There are a lot of different roles from SAP systems analyst to SAP architect. It can be surprising just how much know-how and education these positions require. The bachelor’s degree is the typical entry point for a career in software development. Industry-specific knowledge can be important – in the case of a SAP developer, it is often finance or business. Many nationally advertised SAP positions favor candidates with master’s degrees; depending on the position, the master’s may be in business administration or a more technical field. Higher level software development positions typically ask for experience taking a software product through the lifecycle. They may ask for knowledge of specific models -- e.g. the Full Lifecycle Model. The bachelor’s degree is the typical entry point for a career in software development. Those with SAP expertise often go on to work as consultants. There are two types: functional consultant and technical consultant. The functional consultant is focused on meeting business needs and the technical consultant, well you can guess what their focus is. Like its "big brothers" Microsoft and Oracle, SAP offers a host of certifications. They are available in technology, development, and application. As a job seeker, you’ll want to scout out companies well in advance -- some do list certification as a requirement. But don’t expect your certification to substitute for years spent on the job. Jon Reed writes in a 2008 article that only a small percentage of positions require the certification. There are different levels of technological certification, and the lower level, associate, carries a relatively low prestige. As a professional climbs the ranks and certification requirements become more difficult to meet, they hold greater weight. It is possible to simultaneously earn a master's degree and SAP certification. It is possible to simultaneously earn a master's degree and SAP certification. 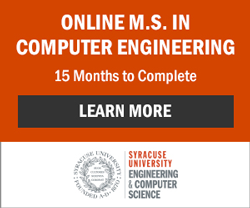 The master's may be in any of several fields, including business engineering and computer science. Developers can find lots of resources on the site of the SAP Community Network. SAP developers enjoy salaries well above the norm. A Panaya 2012 Salary Survey puts the average salary of a North American SAP developer at $105,000 – this is well above the average in other parts of the SAP world. SAP developers enjoy salaries well above the norm. The salary information by job role, industry, experience, and educational level is based on global data; it may be a little low by American standards, but still gives a sense of what some of the factors are. Panaya reports an average salary of $92,000 for bachelor's level developers, $100,000 for those with master's degrees, and $130,000 for those at the doctoral level. Job role of course plays a huge role in determining salary. Super users and trainers are at the low end. At the high end, you find project managers, IT directors, and application directors. The industry makes some difference. SAP professionals in aerospace, defense, health care, professional services, and finance saw the highest salaries. SAP mobile technologies represent a growing market. SAP has recently made some partnerships in mobile technologies and the future looks promising. The company also acquired Syclo, a company that makes mobile enterprise solutions. SAP developers often earn more than their counterparts at Microsoft. SAP developers often earn more than their counterparts at Microsoft; still, the field can be a hard one to break into. On a positive note, degrees in computer technology can prepare you for a range of positions. According to the Bureau of Labor Statistics, jobs for computer software developers should grow by 30% in the decade between 2010 and 2020.